Two dramas from US-based network TNT are leading Turner International’s slate at Mipcom in Cannes next week. 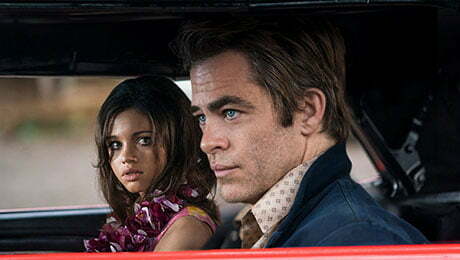 I Am the Night, from Emmy-nominated director Patty Jenkins (Wonder Woman) and starring Chris Pine (Star Trek), tells the story of a woman given away at birth and delves into the dark history of an infamous Hollywood gynaecologist. Both shows are due to premiere in 2019 and are joined on Turner International’s slate by comedy Miracle Workers, which is due to debut on TBS in 2019. Elsewhere, three shows from TNT Germany are on the slate, including Arthur’s Law, a black comedy that sees a man in an unhappy marriage devise a plan to kill his wife to swindle money from his life insurance. Returning Cartoon Network shows on the slate include Ben 10, The Powerpuff Girls, We Bare Bears, Adventure Time and The Amazing World of Gumball.